AL MAHER 5 wins-2 at 2-from 1200m to 1800m, A$1,168,300, VRC Australian Guineas, Gr.1, STC Gloaming S., Gr.2, VRC Carbine Club S., Gr.3, AJC Clipsal 2YO P., 2d STC Phar Lap S., Gr.2, Tooheys New 3YO Golden Rose, 3d MRC Sandown Guineas, Gr.2, 4th AJC Spring Champion S., Gr.1. He entered stud in Aust. in 2005. Sire of 621 progeny to race, 396 winners (63.0%), earnings of over $44 million, 34 stakes winners, 23 stakes placegetters, inc. DELICACY (11f, Scenic, Marauding). 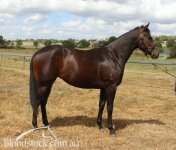 Champion 3YO Filly in Australia in 2014-15.12 wins-1 at 2-from 1000m to 2500m, A$2,151,120, SAJC Schweppes Oaks, Gr.1, South Australian Derby, Gr.1, WATC Perth Cup, Gr.2, CB Cox S., Gr.2, Western Australian Derby, Gr.2, Champion Fillies S., Gr.3, Western Australian Oaks, Gr.3, Ascot One Thousand Guineas, L, Natasha S., L, Jimmy Wong's H., Westspeed H., Westspeed 2YO H., 2d WATC Kingston Town Classic, Gr.1, Westspeed H., 3d WATC Lee Steere S., Gr.2, Challenge S., L, Burgess Queen S., L.
FAT AL (08g, Snaadee, Vain). 7 wins from 1200m to 2000m, A$787,410, ATC Epsom H., Gr.1, Carbine Club S., Gr.3, Frank Packer P., Gr.3, Bendigo JC Yalumba Golden Mile, L, ATC Inglis H., 2d ATC Theo Marks H., Gr.2, Inglis Bonus Mile, 3d ATC Shannon S., Gr.2, VRC TAB Rewards S., Gr.3, Ballarat Cup, L.
ALMALAD - FRIENDS OF KA YING (H.K.) (11g, Secret Savings, Touching Wood). Champion 2YO Colt in Australia in 2013-14.5 wins-3 at 2-from 1000m to 1600m, A$602,500, HK$5,032,275, BRC JJ Atkins S., Gr.1, MVRC Bill Stutt S., Gr.2, ATC TAB Early Quaddie 2YO P., HKJC Pok Oi Cup, 2d HKJC Cymbidium H., Dongguan H., Oi Man H., Wyndham H., Lotus H., 3d HKJC Washington DC H., Cornwall H., Cafeteria H., Pacific Ocean H., Racing Club H., Sauternes Cup, King Kwong H., Lung Hang H., 4th ATC Golden Rose S., Gr.1. DIAMOND DRILLE (09f, Zoffany, Cardinal). 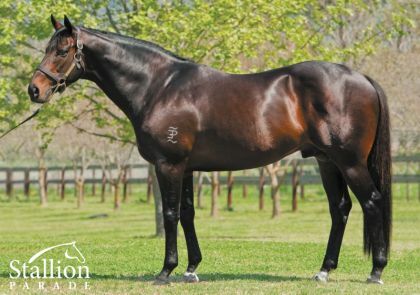 5 wins from 1100m to 1600m, A$975,180, ATC Queen of the Turf S., Gr.1, Aspiration H., Gr.3, Tab.com.au H., Onemorenomore at Easter H., 2d ATC Eastern Creek Tavern H., 3d ATC Coolmore Classic, Gr.1, 4th ATC Emancipation S., Gr.2. MAJESTIC MUSIC (06f, Royal Academy, Kendor). 6 wins-1 at 2-from 1200m to 1600m, A$857,360, VRC Edward Manifold S., Gr.2, SAJC Yallambee Classic, Gr.2, RA Lee S., Gr.3, Jansz S., Gr.3, VRC Desirable S., L, SAJC Morphettville Guineas, L, 2d MRC Sandown Guineas, Gr.2, SAJC RA Lee S., Gr.3, Allan Scott Park Morphettville H., Davison Earth Movers 2YO P., Collins Sportsturf H., 3d SAJC Pewsey Vale S., L, St Clair 2YO P., 4th MRC Sir Rupert Clarke S., Gr.1, MVRC Sunline S., Gr.2, SAJC Queen of the South S., Gr.2, CS Hayes Memorial Cup, L.
BUDRIGUEZ (06g, St Covet, Esperanto). 12 wins from 1200m to 1600m, A$679,930, VRC Blamey S., Gr.2, SAJC RA Lee S., Gr.3, MRC Victoria H., Gr.3, TS Carlyon Cup, Gr.3, SAJC City of Adelaide H., L, Allan Scott Park Morphettville H., Centrebet H., Apache Cat Coming in November H., EJ Whitten Foundation H., Betfair H., 2d MRC Victoria H., Gr.3, SAJC Matrice S., L, Sportingbet H.-twice, Allan Scott Park Morphettville H., 3d MRC Peter Young S., Gr.2. SILVERSTREAM (11f, Brocco, True Version). 9 wins-1 at 2-to 1400m to 2017-18, A$709,400, WATC Lee Steere S., Gr.2, AJ Scahill S., Gr.3, Northerly S., Gr.3, Jungle Dawn Classic, L, Westpeed Nursery H., Seacorp H., Tabtouch H., Merrywell H., Variety at the Races H., 2d WATC La Trice Classic, Gr.3, Starstruck Classic, L, RS Crawford S., L, Birthday S., L, 3d WATC Miss Andretti S., L, 4th WATC Winterbottom S., Gr.1, La Trice Classic, Gr.3. CLASSIC UNIFORM (12g, Canny Lad, Buena Shore). 7 wins from 1350m to 2000m to 2017-18, A$1,054,025, ATC Hill S., Gr.2, Craven P., Gr.3, Parramatta Cup, L, Hyland Race Colours H., TAB Rewards H., Theraces H., 2d ATC Winter Challenge H., L, Premier's Cup, L, Premier's Cup Prelude H., Cellarbrations H.-twice, 3d ATC Chipping Norton S., Gr.1, Tab.com.au H., Merry Christmas from James Boags H., Star Club H., Pro IT H., Club Marconi H., 4th ATC Neville Sellwood S., Gr.3, Canberra Cup, L.
SON OF MAHER (12g, Tights, Wolverton). 7 wins at 1400m, 1600m to 2018-19, NZ$309,147, CJC Coupland's Bakeries Mile, Gr.2, Otago RC Dunedin Guineas, L, CJC Coupland's Bakeries H.-twice, Otago RC Fire & Mechanical H., 2d WRC Levin Classic, Gr.1, CJC Armadillo S., L, Timaru S., L, Hawkes Bay Karaka Million H., CJC Stallion Tender H., 3d Otago RC White Robe Lodge H., Gr.3, WRC Lightning H., L, Otago RC White Robe Lodge H., 4th WRC Anniversary S., Gr.3. ALL LEGAL (06g, Desert Prince, Centaine). 6 wins from 1300m to 1600m, A$596,430, ATC Villiers S., Gr.2, Hawkesbury RC Ladies Day Cup, L, AJC Schweppes H., City Tatt's RC Inglis Bonus 3YO H., AJC Sanders Noonan H., 2d AJC Inglis 2YO Classic, Schweppes H., ATC Meet Me at Bellevue Hotel After the Last H., 3d AJC South Pacific Classic, Gr.3, Hawkesbury Guineas, L, STC Golden Slipper Festival on Sale 2YO H., ATC Endeavour Recycled Clothing H.
BADAWIYA (12f, Fuji Kiseki, Danehill). 4 wins from 1200m to 1600m, A$362,425, VRC Edward Manifold S., Gr.2, AV Kewney S., Gr.2, Pakenham RC Australian Seed & Turf H., 3d MRC Thousand Guineas, Gr.1, 4th ATC Emancipation S., Gr.2. KING LIONHEART (06g, Manntari, Last Tycoon). 6 wins from 1350m to 2200m, A$320,930, ATC Shannon S., Gr.2, Alconex Fire H., Triple M Grill Team H., STC Slipper on Sale H., 2d ATC Vaby's Mediterranean Grill H., AJC Dover Heights H., STC TAB Number 1 Club H., 3d ATC Villiers S., Gr.2, STC Winning Post Restaurant H., 4th ATC Tattersalls Club Cup, L, Gosford Cup, L.
PHEIDON (10g, Encosta de Lago, Thatching). 5 wins from 1350m to 2050m, A$424,835, MVRC Alister Clark S., Gr.2, City Jeep H., ATC Vinery Yearlings H., Tab.com.au H., 2d ATC Frank Packer P., Gr.3, MRC Eclipse S., Gr.3, ATC Inglis Bonus H., 3d VRC James Boag's Premium S., L, ATC Dunmain H., 4th ATC Bill Ritchie H., Gr.3. OASIS BLOOM (08f, Marscay, Vain). 2 wins at 1600m, 1700m, A$326,900, MVRC WH Stocks S., Gr.2, VRC Crown Promenade Trophy, 2d MVRC WH Stocks S., Gr.2, MRC Herbert Power S., Gr.2, Race-Tech Classic, L, 4th VRC Myer Classic, Gr.1. MONSIEUR GUSTAVE (12g, Stravinsky, Zabeel). 9 wins to 1400m to 2018-19, A$568,950, BRC George Moore S., Gr.3, Ipswich TC Eye Liner S., L, Keith Noud H., L, SCTC Glasshouse H., L, Noosa Cup, BRC Natural Pest Control Qld H., Coke Zero P., 3d BRC Buffering H., 4th BRC Victory S., Gr.2. AMOVATIO (10g, Scenic, Vice Regal). 9 wins-1 at 2-from 1200m to 1600m, A$1,003,910, Hawkesbury Gold Cup, Gr.3, VRC Winter Championship Final H., L, MRC Weekend Hussler S., L, ATC December H., Time to Shop at TAB H., McGrath Estate Agents H., Eric Kime H., TAB Iphone App 2YO P., VRC VRV-CRC Winter Championship Heat H., 2d VRC Winter Championship Final H., L, Qld Tatt's RC Spear Chief H., L, Scone Cup, L, ATC Your Local Greengrocer 2YO P., Australian Turf Club 2YO H., Myer NSW Bush Fire Support H., VRC John & Denise Cobcroft H., ATC Macgrath Estate Agents H., Irresistible Pools & Spas H., Paslode H., HQ of Insurance H., 3d ATC Newcastle Newmarket H., Gr.3, BRC Wayne Wilson S., L, ATC Share Care Congrats Chris Waller 2YO H., VRC Australian Trainers' Association H., ATC Vinery Yearlings H., Alconex Fire H., Randwick City Council H., VRC David Kiernan & James Miller H., 4th VRC L'Oreal Paris S., Gr.3, TAB Multiplier Autumn H., Gr.3, ATC Festival S., Gr.3. MADAM GANGSTER (10f, Chief's Crown, Precocious). 6 wins to 1400m, A$360,605, VRC Frances Tressady S., Gr.3, MRC WW Cockram S., Gr.3, VRC Gifte H., MRC Ken Sturt H., 2d MRC Chase Hotel H., 4th ATC Emancipation S., Gr.2. SPEEDY NATALIE (06f, Brocco, True Version). 3 wins-1 at 2-from 1100m to 2000m, A$212,555, AJC Adrian Knox S., Gr.3, SAJC Dequetteville S., L, MVRC TEAC Flashback P., 2d Moonee Valley Fillies Classic, Gr.2. FELICIENNE (11f, Canny Lad, Sound Reason). 5 wins-1 at 2-from 1200m to 1700m, A$209,095, VRC Schweppervescence Trophy, Gr.3, Metricon Trophy H., MVRC 'K' Line Australia H., 4th SAJC Queen of the South S., Gr.2. MARHETA (06f, Generous, Bakharoff). 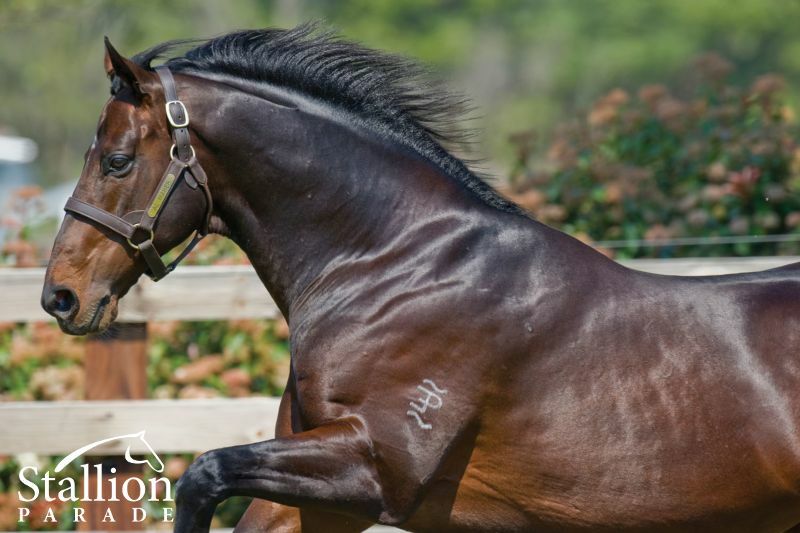 3 wins from 1400m to 2000m, A$264,778, BRC Doomben Roses, Gr.3, MRC All American at Arrowfield Stud H., 2d Queensland Oaks, Gr.1, Gold Coast Bracelet, L, MRC Apex Steel P.
TRUSON (11g, Hennessy, Ogygian). 15 wins from 1000m to 2400m to 2019, 1,152,526Rgt., Piala Emas Sultan Selangor, L, Perak TC Coronation Cup, L, Perak Derby, L, 2d Selangor TC Tunku Gold Cup, L, Penang Sprint Trophy, L, Perak Gold Vase, L, 3d Perak TC Coronation Cup, L, Penang Sprint Trophy, L, Selangor Gold Cup, L-twice, 4th Selangor TC Sports Toto Supreme Challenge Trophy, L, Selangor Gold Cup, L.
UNCHAIN MY HEART (06f, Prince of Birds, Le Grand Seigneur). 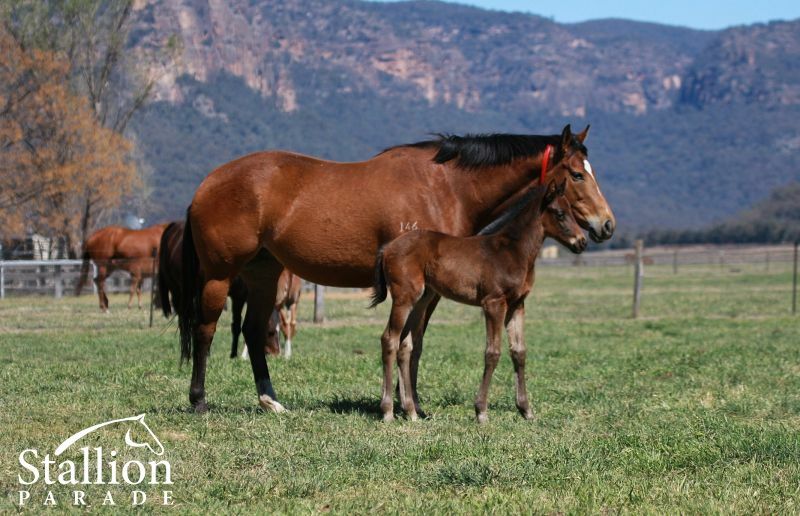 10 wins from 1400m to 3200m, A$595,580, VRC Bagot H., L, Andrew Ramsden S., L-twice, William Newton VC H., ATC Flinders Lane Perfect Fit Shirt H., Aston Bloodstock De la Salle Reunion H., MVRC K Line Australia Premium H., 2d VRC William Newton VC H., Dover H., ATC Coogee H., MVRC Coresight H., 3d MRC Harry White Classic, L, Werribee Cup, L, MVRC Friends of Epworth H., MRC Legacy Badge Appeal H., Bendigo JC Centrebet Stayers Gold Final H., 4th VRC Bagot H., L, Roy Higgins H., L, Moonee Valley Night Cup, L.
MONEY MAHER (14c, Special Bond, New Regent). 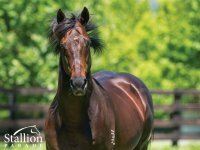 5 wins from 1100m to 2200m in 2017-18, A$295,600, WATC Fairetha S., L, JC Roberts S., L, Melvista S., L, Budget Car & Truck Rental P., 2d WATC Yellowglen 2YO H., Tabtouch Race Replays 2YO P., 3d WATC Sires' Produce S., Gr.3, 4th Western Australian Derby, Gr.2. DANCE WITH HER (06f, Tights, Wolverton). 12 wins from 1400m to 2350m, A$765,403, SAJC Centaurea S., L, Warrnambool Cup, L, Bendigo JC Yalumba Golden Mile, Pakenham Cup, Yarra Valley Cup, MRC Saturday Age Life & Style Cup, MVRC Dominant H., Essendon Jeep Patriot H., 2d Brisbane Cup, Gr.2, MVRC JRA Cup, Gr.3, BRC Premier's Cup, Gr.3, MRC (Mornington) RM Ansett Classic, L, MVRC Curran Chemicals H., MRC Tattsbet.com H., VRC Asian Young Guns Challenge H., 3d ATC NE Manion Cup, L, MRC Veronica Jamison H.
KINNERSLEY (06g, Geiger Counter, Lunchtime). 8 wins from 1300m to 2200m, A$537,810, ATC Lord Mayor's Cup, L, GCTC Magic Millions Stayers Cup, ATC Eatability H., Goulburn Cup, ATC Rosehill Gardens H., Panucci Transport H., NSW Tatt's RC TAB Jackpots Today H., 2d Tasmanian Derby, Gr.3, Ipswich Cup, L, AJC Naturalism H., 3d ATC Winter Challenge H., L, January H.
TERROR FORCE (10g, Tale of the Cat, Spectacular Spy). 6 wins-2 at 2-from 1000m to 1600m, A$291,425, WATC Perth S., L, Westspeed 2YO P., Police Fire & Emergency Services H., Vale Brandan Thompson H., Amelia Park H., 2d WATC Get Westspeed Nominations in Now H., Crown Perth H., Westspeed.com.au H., 3d WATC Vale Brandan Thompson H., Tabtouch Your Industry Your TAB H.-twice, Tabtouch.com.au H., Baileys H., 4th WATC Fairetha S., L, Old Comrade S., L.
BUDDY BUNDY (10g, Kenmare, Vain). 6 wins to 1100m, A$192,500, HK$603,150, SAJC Lightning S., L, Hamilton Holden H., Leader Computers H., Tapestry Wines H., Flight Centre P., 2d SAJC Ice Adelaide Events H., HKJC Jackson H., Ping Shek H., 3d SAJC MAC Just Over Don't Drive H., HKJC Noonday Gun H.
CABERNET (06f, Nine Carat, Paris Opera). 6 wins to 1500m, A$363,020, MRC Summoned S., L, AJC Tattersalls Club H., ATC Blackwoods New Catalogue H., AJC 100 Club Join Now H., STC Grand Pavilion H., Grosvenor H., 2d VRC Herald Sun S., Gr.3, ATC Aspiration H., L, Schweppes H., 3d ATC Merry Xmas From the ATC H., AJC Georges Hall H., City Tatt's RC Diona Rose of Tralee H., 4th ATC Villiers S., Gr.2, Wiggle S., L, Nivison S., L.
AMAETHON (06g, Snippets, Century). 6 wins from 1000m to 1600m, A$474,183, MRC Testa Rossa S., L, VRC Comedy King H., MRC Thoroughbred Club Cup, Geoff Murphy H., Flying Spur at Arrowfield H., 2d MRC Testa Rossa S., L, VRC Johnstaff Projects H., MRC Jellis Craig Pink Ribbon Cup, Bert Bryant H., Harrolds Fashion P., VRC TAB Celebrating 50 Years H., MRC Beau Sovereign H., 3d VRC Veolia Environmental Services H., Emirates Airlines H., George Watson H., MRC WJ (Bill) Adams 2YO H., Betfair P.H., Organ & Tissue Transplant H., 4th MRC Betfair S., Gr.3, Sandown S., Gr.3. RIVER DELTA (10f, Bellotto, River Rough). 4 wins at 1200m, 1400m, A$248,210, Geelong RC Black Pearl Classic, L, VRC Prudential P., MRC Geoff Murphy H., 3d MRC Sportscover Insures VAFA P.
AL MAHER (c by Danehill (USA)) 5 wins. See below. BIG TIME (g Danewin) 4 wins from 1600m to 1900m, A$149,625, ATC Dulcify H., L, Trackside Markets H., 2d ATC Tab.com.au H., 3d ATC Ibis Milano Lunch Special H.
Our Freedom - Drinking Spirit (Mac.). 3 wins to 1400m in Aust. and Macau, 3d STC Canterbury Park H.
Star Prosperity. 3 wins from 1100m to 1800m in Malaysia. Saalim. Winner at 1900m in 2017-18 in Aust. TROJAN HARBOUR (c Harbour Watch) 2 wins at 2, R171,935, Greyville Gatecrasher S., L.
Noor Dropper. 13 wins to 1200m, A$146,100, to 2017-18, BRC Brc.com.au H., 2d BRC Mount Franklin H., Ipswich TC City of Ipswich H.
Badraan. 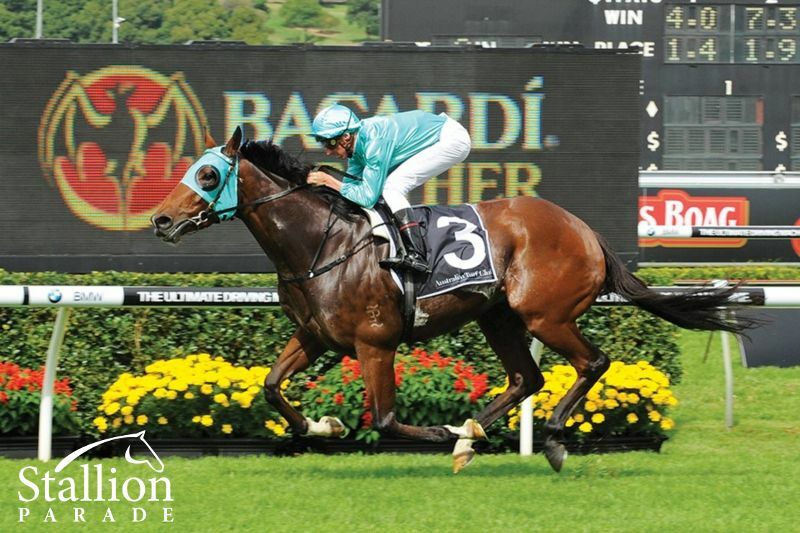 Winner at 1400m, SCTC SUU Underwriting Agency P., 2d ATC TAB Rewards 2YO P., 3d ATC Hyland Race Colours P.
Horeyat Dubai. Winner at 1200m in 2018-19, 2d SAJC Aami Youngcare Grants H., 3d SAJC Wolf Blass Wines H.
Streets of Dubai. Winner at 1600m in Aust. Hela Flyer. Winner at 1200m in Aust. Munyate. Winner at 1150m in Aust. Merwaan. 6 wins from 1200m to 2200m in Aust. Katy's Revenge. 2 wins at 1200m in Aust. Wejdaan. 2 wins at 1000m, 1150m in Aust. Producer. Laiba. Winner at 1300m in Aust. Producer. Al Madam. Winner at 1400m in Aust. UMATILLA (c Miswaki) 7 wins-3 at 2-to 1200m, A$683,305, WATC Karrakatta P., Gr.1, VRC Hilton on the Park S., Gr.3, SAJC Da Costa P., L, VATC William Clarke S., 2d VRC Lightning S., Gr.1, VATC Blue Diamond S., Gr.1, SAJC Breeders' S., Gr.2, STC Pago Pago S., Gr.2, SAJC National S., Gr.3, DC McKay S., Gr.3, MVRC Stanley Wootton S., Gr.3, VATC Rubiton S., Gr.3, South Australian S., Gr.3, 3d VRC Newmarket H., Gr.1, Sires' Produce S., Gr.1, Criterion H., L, VATC Autumn Sprint H., L. Sire. HURRICANE SKY (c Star Watch) Second on The 1994-95 Australasian 3YO Classification (1000m - 1400m).Third top colt on The 1993-94 Australasian 2YO Classification. 6 wins-3 at 2-from 1100m to 1800m, A$876,650, AJC All Aged S., Gr.1, VATC Blue Diamond S., Gr.1, Autumn Classic, Gr.2, VRC Criterion H., L, VATC Zeditave S., L, Street Cafe 2YO H., 2d Australian Guineas, Gr.1, VATC CF Orr S., Gr.1, 3d VRC Mollison H., L, VATC HDF McNeil S., L, VRC Food & Wine Festival H., 4th MVRC Alister Clark S., Gr.2. Sire. RULING DYNASTY (g Medaglia d'Oro) 6 wins from 1600m to 2400m, A$367,035, to 2017-18, City Tattersalls Club Cup, L, BRC Bottle-O H., ATC TAB Rewards H., SCTC Summerveld Racing Stables H., 2d BRC Brisbane H., L, National Fire Industry Association H., 3d ATC Winter Challenge H., L.
EVER THE SAME (f Canny Lad) 3 wins at 1200m, 1300m, A$147,900, ATC PJ Bell S., L, Paul Spiteri's 50th H., 3d ATC Darby Munro S., L, 4th ATC James HB Carr S., L.
MURJANA (f Giant's Causeway) Winner at 2, SAJC Breeders' S., Gr.3, 3d VRC Michael & Goldie Mazur H. Producer. 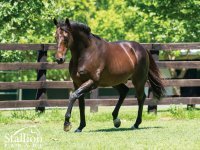 GATHERING (g Tale of the Cat) 4 wins from 1400m to 1600m, A$995,775, WATC Railway S., Gr.1, VRC Paris Lane S., L, AJC Shamekha H., NSW Tatt's RC Sydney City Toyota H., 2d AJC Spring Champion S., Gr.1, STC Gloaming S., Gr.3, 3d VRC Sires' Produce S., Gr.2, MRC Norman Robinson S., Gr.3, 4th STC Tulloch S., Gr.2. FLORENTINA (f Redoute's Choice) 2 wins-1 at 2-at 1200m, 1300m, A$239,200, Gold Coast Guineas, Gr.3, ATC Inglis Bonus 2YO H., 2d NSW Tatt's RC Furious S., Gr.2, ATC Silver Shadow S., Gr.3, Australian Brewery 2YO H., 3d ATC Tea Rose S., Gr.2. Producer. CALIFORNIA TURBO (g Fastnet Rock) 3 wins at 1300m, 1400m, A$167,055, HK$351,900, in 2017-18, ATC South Pacific Classic, L, 2d HKJC Designs on Rome H., 3d BRC Rough Habit P., Gr.3. NIAGARA (c Encosta de Lago) 2 wins at 1500m, 1550m, A$238,580, ATC Ajax S., Gr.2, Teachers Eyecare H., 2d MRC Sandown Guineas, Gr.2, ATC Eskimo Prince H., L, Tyreel Stud 2YO H., 3d MRC Norman Robinson S., Gr.3. Sire. PLATINUM SCISSORS (c Danehill) 5 wins from 1400m to 2000m, A$982,800, AJC Spring Champion S., Gr.1, MRC Norman Robinson S., Gr.2, GCTC AD Hollindale S., Gr.2, Newcastle JC Newmarket H., L, AJC Eastlakes H., 2d BTC Doomben Cup, Gr.1, NSW Tatt's RC Chelmsford S., Gr.2-twice, STC Tulloch S., Gr.2, Hill S., Gr.2, Gloaming S., Gr.2, BTC Labour Day Cup, Gr.3, 4th AJC George Main S., Gr.1, STC George Ryder S., Gr.1, MRC Yalumba S., Gr.1, QTC PJ O'Shea S., Gr.2, STC Phar Lap S., Gr.2. Sire. REDOUTE'S CHOICE (c Danehill) Champion 3YO Miler in Australia in 1999-2000. Joint Champion 3YO in Aust/NZ in 1999-2000. 5 wins-2 at 2-from 1100m to 1600m, A$1,567,850, VATC Blue Diamond S., Gr.1, Caulfield Guineas, Gr.1, CF Orr S., Gr.1, MVRC Manikato S., Gr.1, VATC Veuve Clicquot S., L, 2d MVRC Australia S., Gr.1, 3d VATC Futurity S., Gr.1, Vic Health Cup, Gr.1, 4th VRC Ascot Vale S., Gr.2. 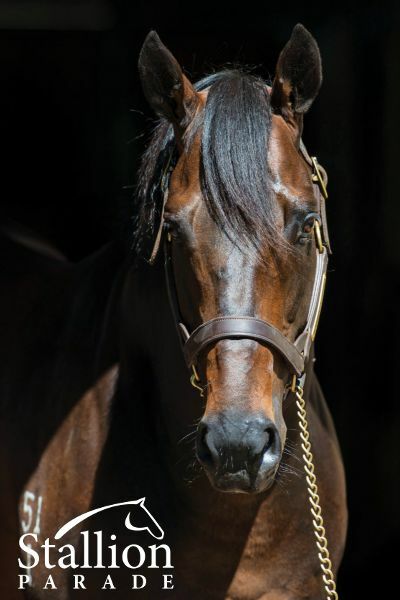 Champion sire. MANHATTAN RAIN (c Encosta de Lago) Joint second on 2008-09 Australasian 2YO Classification. 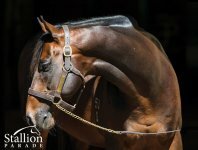 2 wins at 2, A$1,311,200, AJC Sires Produce S., Gr.1, Skyline S., Gr.3, 2d MVRC WS Cox P., Gr.1, AJC Canonbury S., L, STC Theslipper.com.au 2YO H., 3d STC Golden Slipper S., Gr.1, AJC Champagne S., Gr.1, MRC Caulfield Guineas, Gr.1, Caulfield Guineas Prelude, Gr.3. Sire. RUBICK (c Encosta de Lago) 3 wins-2 at 2-at 1000m, 1100m, A$379,500, MRC Schillaci S., Gr.2, Blue Diamond Prelude (c&g), Gr.3, ATC TAB Iphone App 2YO P., 3d ATC Challenge S., Gr.2, 4th MRC Blue Diamond S., Gr.1. Sire. ECHOES OF HEAVEN (c Encosta de Lago) 3 wins-1 at 2-from 1400m to 1800m, A$154,725, SAJC Port Adelaide Guineas, L, 2d South Australian Derby, Gr.1, 3d SAJC Chairman's S., Gr.3. Sire. 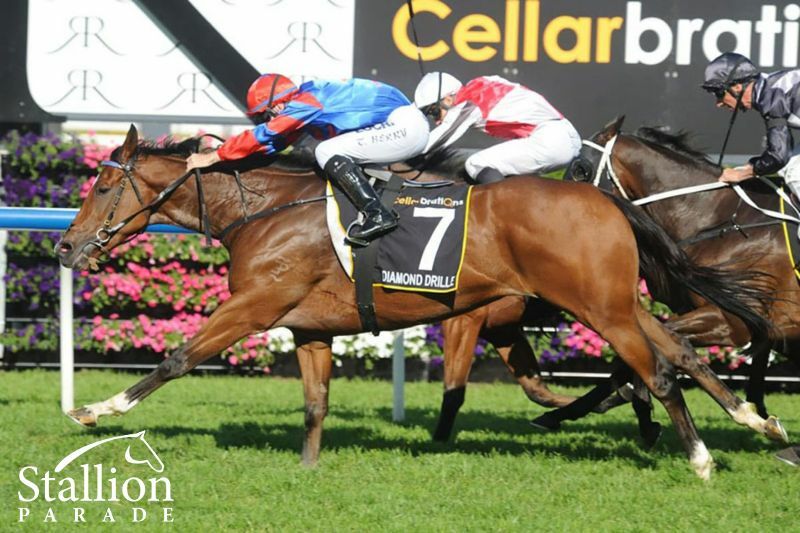 PRECIOUS LORRAINE (f Encosta de Lago) 3 wins-2 at 2-at 1600m, 2400m, A$247,750, South Australia Fillies Classic, Gr.3, VRC Gibson Carmichael S., L, SAJC Oaklands P., L, 3d SAJC Panasonic Viera 2YO H., 4th MVRC AAMI Vase, Gr.2, SAJC Auraria S., Gr.3. Producer. LUCKY RAQUIE (f Encosta de Lago) Winner at 2, A$205,650, Canberra RC Black Opal S., L, 3d ATC Gimcrack S., L.
SHOALS (f Fastnet Rock) Equal Leading Older Female on the 2018 WTR (Sprint). Champion 3YO Filly in Australia in 2017-18. 7 wins-3 at 2-from 1100m to 1600m, A$2,535,270, to 2017-18, VRC Myer Classic, Gr.1, ATC Surround S., Gr.1, SAJC Sangster S., Gr.1, ATC Percy Sykes S., Gr.2, VRC Thoroughbred Breeders S., Gr.3, MVRC Atlantic Jewel S., L, 2d ATC Canterbury S., Gr.1, MRC Thousand Guineas, Gr.1, ATC Premiere S., Gr.2, MRC Thousand Guineas Prelude, Gr.2, 3d MVRC Ian McEwen S., Gr.2. SUMMER SHAM (f Not a Single Doubt) 3 wins to 1400m, A$192,550, in 2017-18, MRC Angus Armanasco S., Gr.2, MVRC Independent Turf Services H.
Home-bred Group 1 winning son of Danehill (USA) already established as a highly consistent sire of quality stakes winners. One of the star 3-year-olds of his generation, winning the Group 1 VRC Australian Guineas (1600m) — a race previously won by champion sires Zabeel and Flying Spur. Proven sire of 25 stakes winning progeny including the Group 1 winners Delicacy (2015 Australasian Oaks), Almalad (2014 JJ Atkins),Fat Al (2012 ATC Epsom H.-G1) and Diamond Drille (2014 Queen Of Tur) as well as Group winners. Madam Gangster, Pheidon, Majestic Music, King Lionheart, Oasis Bloom, Speedy Natalie, Marheta, Budriguez etc. Already the sire of close on 260 individual winners with his oldest progeny now 7 year olds. Progeny earnings of over $25 million with an average earning index of $65,000. At least seven of 29 stakes horses have been produced by either daughters or grand-daughters of Nijinsky-line stallions. 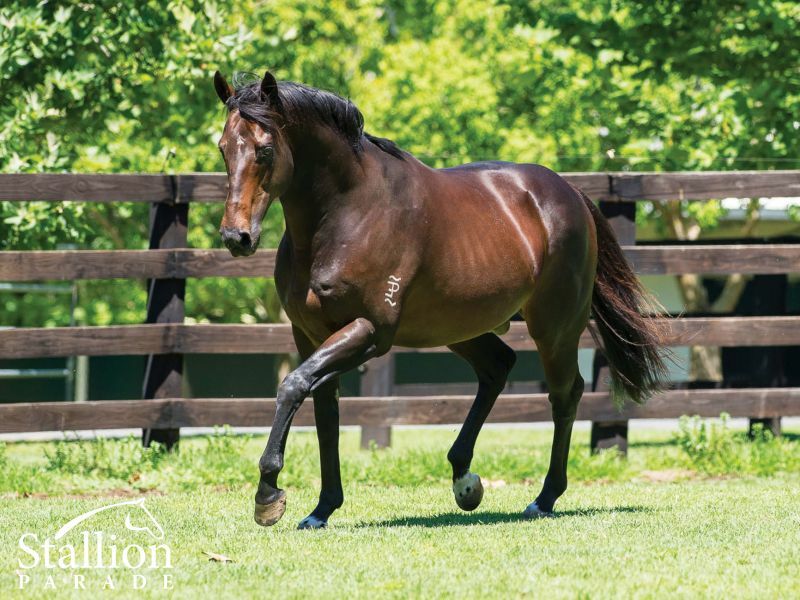 Three-quarter brother-in-blood to champion sire Redoute’s Choice from the immediate female family of successful sires Umatilla (NZ) and Hurricane Sky. 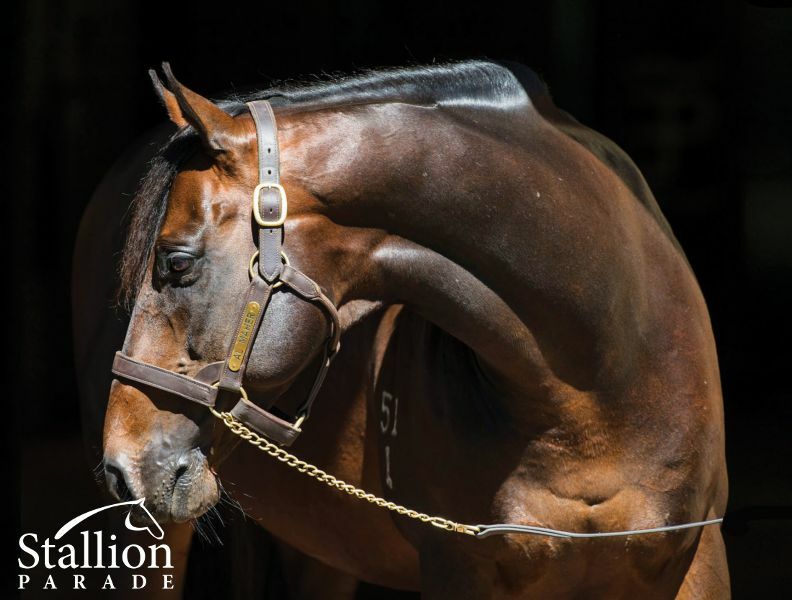 Al Maher is one of the most proven stallions in Australia with a stakes Winners to runners % of 6.5% which ranks him as the eighth top sire standing in Australia, and one of only four remaining commercial sons of Danehill in Australia. Al maher is the true Value sire of Australia.